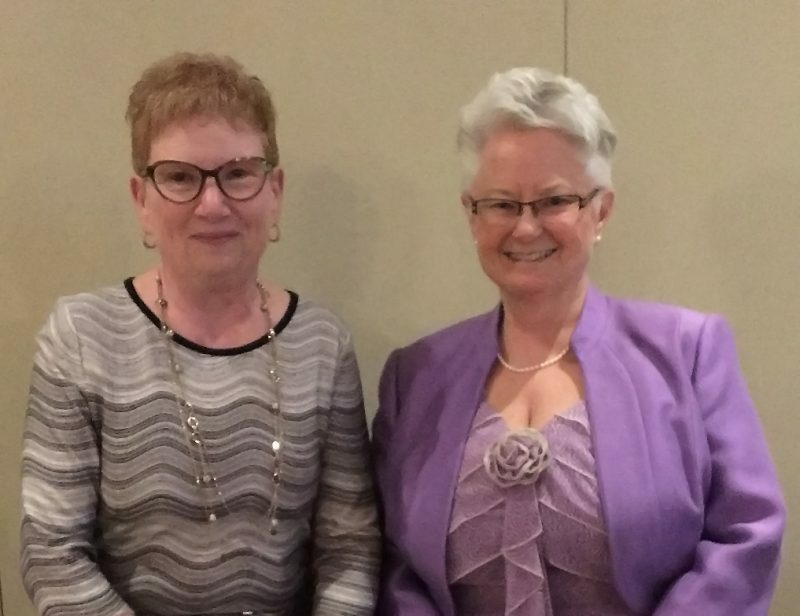 Dr. Fran Racher, left, and Dr. Kathryn Hyndman are celebrating their retirement from BU this month by partnering with former Brandon General Hospital School of Nursing Classmates to create a new scholarship for Health Studies students at BU. BRANDON, Man. 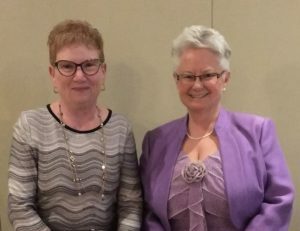 – Friends and colleagues since meeting as teenagers in 1969, Dr. Kathryn Hyndman and Dr. Fran Racher celebrated their retirement this month by initiating a scholarship that will help future Health Studies students at Brandon University (BU). After completing their science requirements at BU, Hyndman and Racher both graduated from the Brandon General Hospital School of Nursing Class of 1972, and later became educators themselves in BU’s Faculty of Health Studies. In recognition of the longtime affiliation between the BGH School of Nursing and BU, they are collaborating with their fellow Class of ’72 alumni to launch the Brandon General Hospital School of Nursing Scholarship. After 20 years at BU Racher has retired from her current role as Coordinator of the Master of Psychiatric Nursing program. Hyndman, an Associate Professor in the Nursing program, returned to the university to teach when BU’s Bachelor of Nursing program was launched in 2004. Racher and Hyndman announced the scholarship at their retirement dinner last week and both made contributions. More than $5,000 has already been raised, which will be matched by the Manitoba Scholarship and Bursary Initiative (MSBI) for an endowment of more than $10,000. This will fund an annual award of approximately $450. Initially the scholarship will alternate each year between a Nursing and a Psychiatric Nursing student, with the hope of presenting the award to one student in each of the two programs down the road as the endowment grows. Hyndman and Racher have been reaching out to members of the Class of 1972, and welcome contributions from BGH School of Nursing teachers and graduates from other years, as well as anyone with a connection to the program. Donations made before March 31, 2017, may be eligible for matching funds from the MSBI. More information on giving to BU can be found at brandonu.ca/give or by calling 204-727-7374 or toll-free 1-877-282-4483. The BGH School of Nursing ran from 1882 to 1995, and Hyndman said that its graduates have had a massive impact. “Many graduates have gone on to do absolutely fantastic things,” Hyndman said. That work has continued through BU’s Faculty of Health Studies, whose graduates continue to play key roles in the health field.